Although one message most likely will be sent to multiple students at the same time, each student will receive an individual message. Click the Message Students Who link. By default, Canvas will show names from the Haven't submitted yet category. In the drop-down menu , select the category of students you want to message. 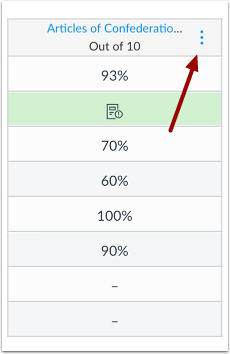 Based on real-time data, Canvas will show the names of the students who fall in the category you selected . You can also remove students from the message by clicking the Remove icon. 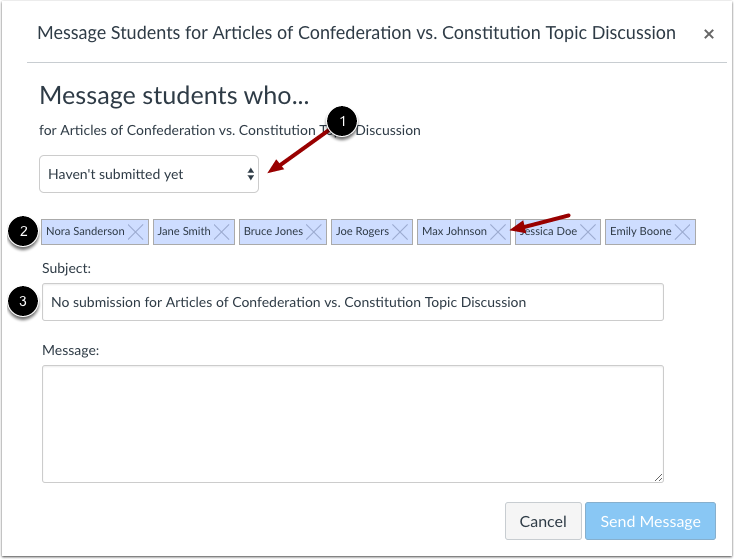 Canvas will also generate a subject line based on the category , but you can edit the subject line if needed. Type a message to the students in the message field . Click the Send Message button . Note: Although one message most likely will be sent to multiple students at the same time, each student will receive an individual message. 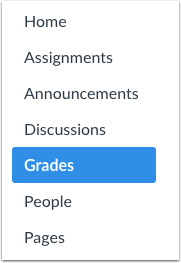 Previous Topic:How do I mute or unmute an assignment in the New Gradebook? 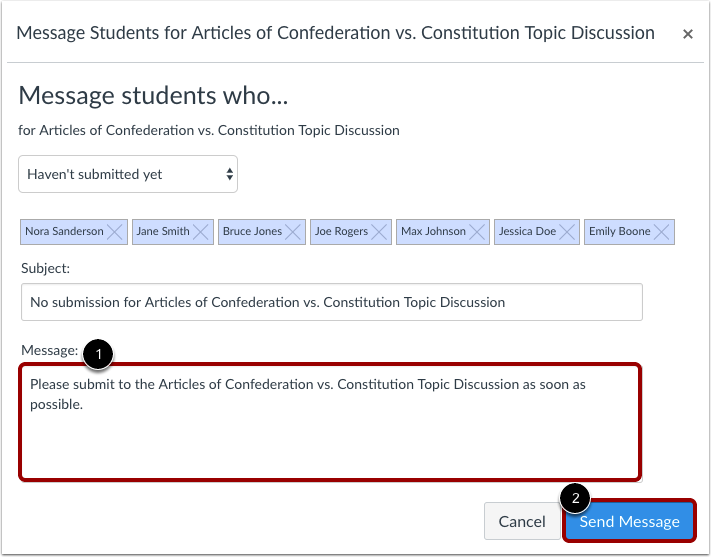 Next Topic:How do I change the status of a submission in the New Gradebook? 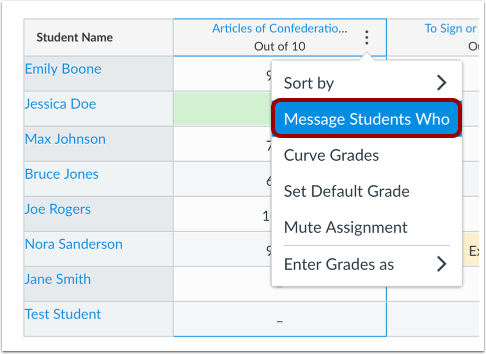 Table of Contents > New Gradebook > How do I send a message to students from the New Gradebook?